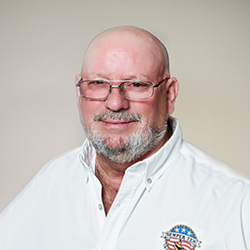 Mr. Wayne Suggs serves as a Site Superintendent, QCSM, and SSHO for Semper Tek, Inc. He works out of our SE Division located in Valdosta, GA, serving on projects in Georgia and Florida. He has more than 40 years in the construction industry, with the majority of those years working on federal and state construction sites. He joined the Semper Tek team in 2016. Mr. Suggs is an experience Heavy Equipment Officer and is GSWCC Level 1A Certified, as well as Army Corps CQM Certified. He resides in Valdosta, GA, where he previously served as the city’s Building Inspector for four years.